• Application due date is April 30, 2019. Only completed applications will be considered by the Jury Committee. • Applications received after the April 30th deadline may be accepted if space permits and you are approved, however due to printing deadlines, inclusion in our brochure publication is not guaranteed. • All applicants must send four representations of the artist’s work and one of booth set up in a jpeg file sent via email for jurying. Photos may also be used for promotional purposes. Faded or blurry images will not be accepted. Include your last name as part of the file name so they can be matched to your application. ➢ A fee of $35.00 will be applied to all checks returned for insufficient funds. • Application fees are deposited upon receipt and are non-refundable unless the artist is not accepted into the Fair. • Application fee reserves a 10’ x 10’ exhibition space (does not include canopy, tables and/or chairs). • Notification of artist acceptance or rejection into the Fair will occur via email. Bellefonte Arts & Crafts Fair is not responsible for lost or misdirected email. 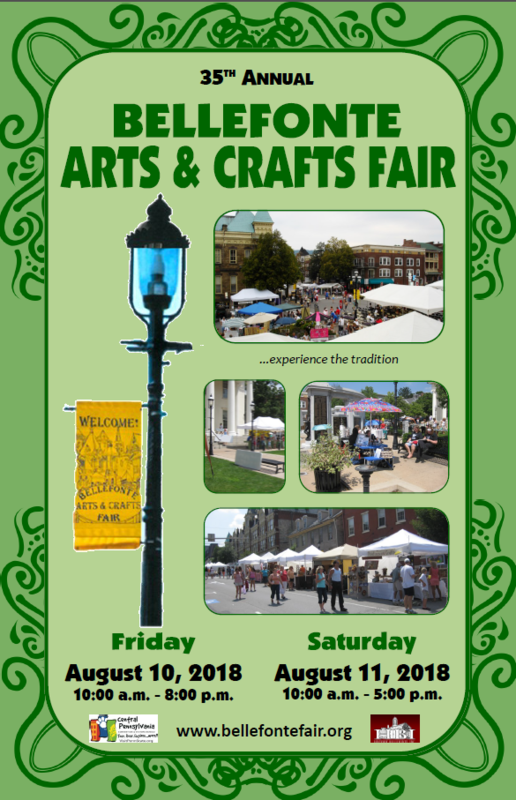 Exhibition and display rules for the Bellefonte Arts & Crafts Fair will be included with an applicant’s acceptance letter. 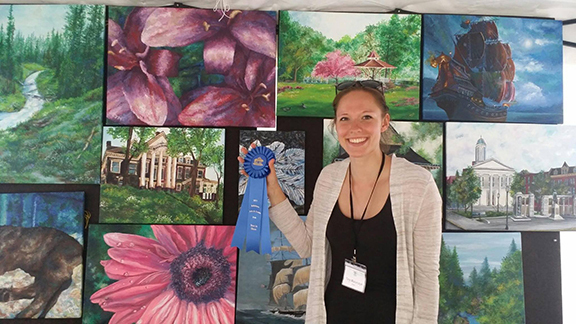 • Best in Show, Best Returning Artist, Best New Artist, and Committee’s Choice – The booth fee for the 2020 Bellefonte Arts & Crafts Fair will be waived for the winner of these awards. 201 Youth Artist’s Application, coming soon.